I would never discount Roger Federer at Wimbledon. Making the Swiss genius my fourth in line for the title is a tribute to the other three. It’s also an acknowledgement that the seven-times champion is not quite the player he once was. Federer has timed his schedule perfectly. His victory in Halle the same week as Queens Club shows his preparations are going well. There’s no doubt Wimbledon represents Roger’s best chance of another Grand Slam. If he doesn’t win on the grass this year, I don’t see him winning another Major. 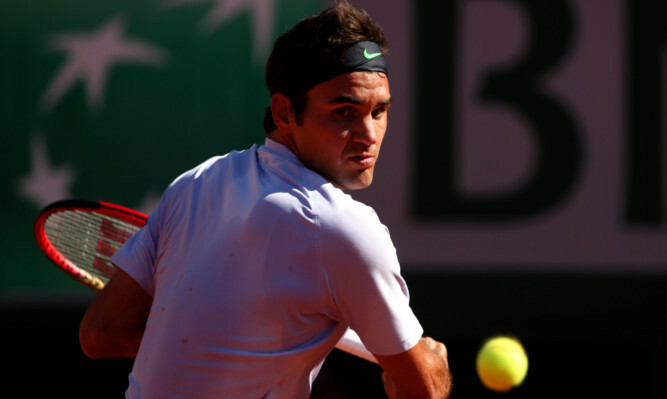 If Wimbledon was played over three sets rather than five, Roger would have a good chance. He’s still capable of rampaging through a couple of sets, but the golden patches don’t last as long as they did. I can almost see Roger thinking about shots on court now, whereas everything used to be completely instinctive. It wouldn’t shock me if Roger won again, but I can’t put him ahead of Djokovic, Murray or Nadal. However, Federer is still in front of my next grouping of Jo-Wilfried Tsonga, Tomas Berdych and Juan Martin Del Potro. Each of these guys could create an upset in one round, but I don’t see any of them winning seven matches. Tsonga is the best of the bunch. He is a genuine contender on grass, but seems to be fragile great one day and careless the next. David Ferrer is Mr Consistency himself, but the problem for the Spanish fourth seed is he doesn’t have the weapons to beat the best players on grass. I think Ferrer will be toppled before the semi-final. Marin Cilic, Milos Raonic, Grigor Dimitrov and Tommy Haas are all dangerous opponents for the top seeds, but I don’t see any of them as potential winners of the tournament. It was great to watch former champion Lleyton Hewitt reach the Queens Club semi-final. Hewitt’s main strength is will-to-win. He’s the Jimmy Connors of the modern generation, but it would be asking too much to expect him to go all the way. As for an outsider, I am going to pick the giant American John Isner, whose serve is one of the best I’ve ever seen. It ranks up there with Pete Sampras, Goran Ivanisevic, Pancho Gonzalez and John Newcombe. That’s pretty good company. Everybody remembers Isner for his marathon match against Nicolas Mahut three years ago. If Isner can find a way to win quickly, he could be a danger to anybody.